Runrun.it is a complete business work tracking platform. The management of tasks, projects and the workflow takes place in a safe and structured environment. See in this short demo how the system can help your company keep track of the demands and bring profit margins to a new level. Runrun.it is a complete platform to control the highest cost of your services business: people's time. See in this short demo how the system can help you to manage the time invested by client, project or type of task. 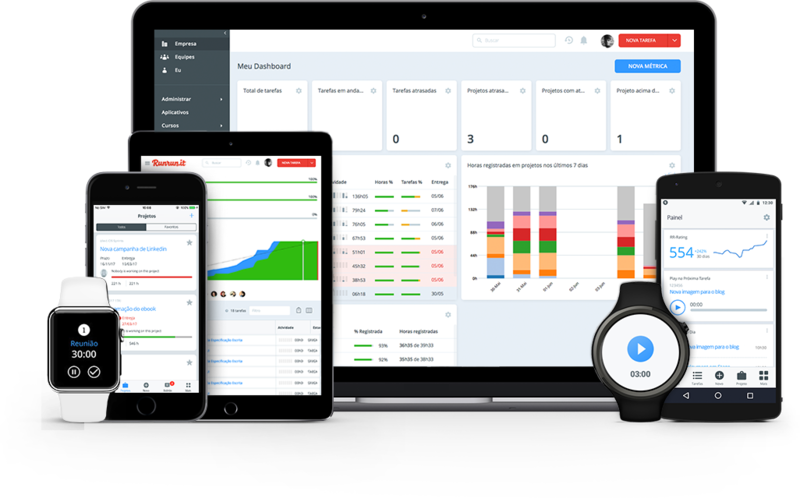 Runrun.it is a complete work tracking platform for your company. The management of tasks, projects and the workflow takes place in a safe and structured environment. See in this short demo how the system can help your business keep the intelligence generated in one easy to use system. Runrun.it is a complete business work tracking platform. The management of tasks and projects takes place in a safe and structured environment. See in this short demo how the system can help your business improve and organize the workflow in a professional way.